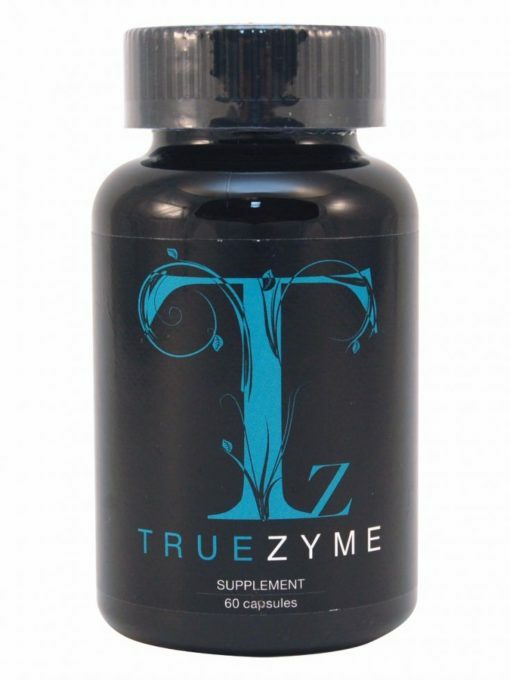 The TrueZyme digestive enzyme blend is designed to meet the changing demands of your body day by day. 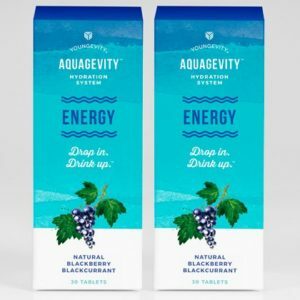 While some companies separate ingredients in an attempt to focus on specific needs, our formula is designed to give the body everything it needs, all the time. 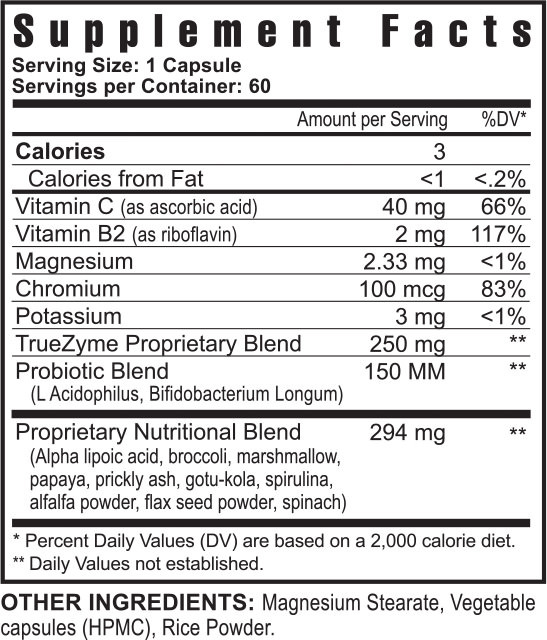 Our proprietary blend of enzymes helps maximize nutrient absorption. 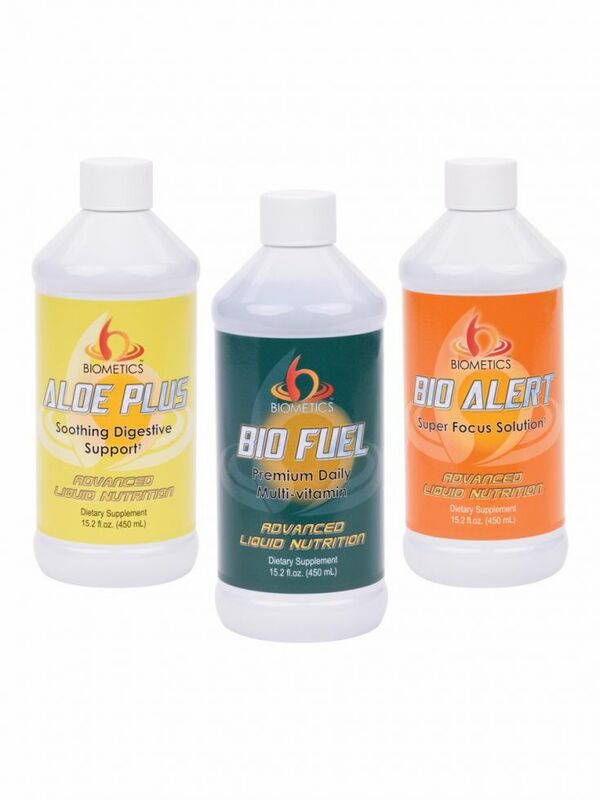 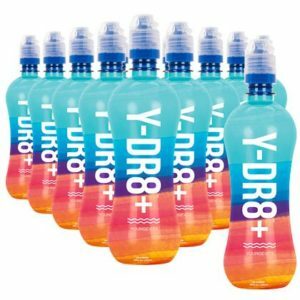 Additional vitamins, minerals, trace minerals and probiotics are all included too! 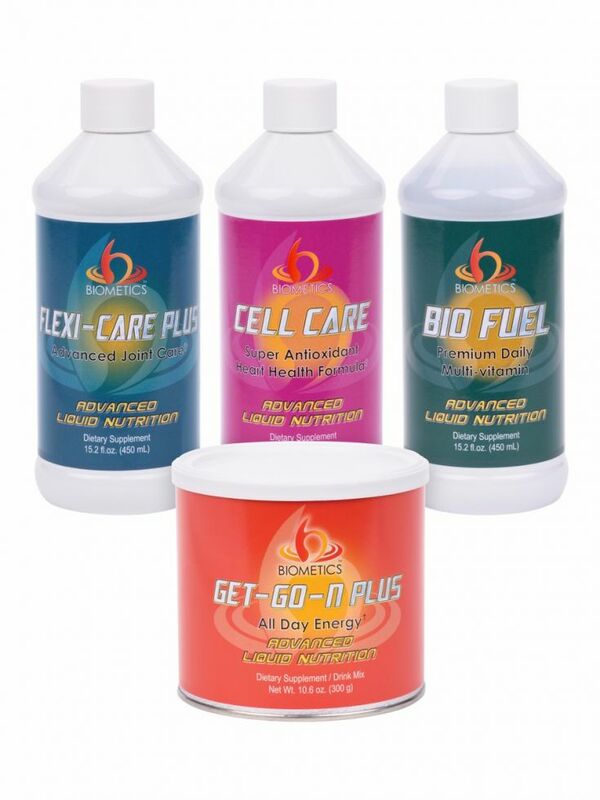 The innate wisdom of your body recognizes the needs that are ever-changing in its storehouse of enzymes, and is able to utilize the vital components wherever and whenever it is necessary… as long as they are available. We help make them available simply and effectively… the True2Life Way! As a dietary supplement, take one (1) capsule with meals and one (1) in-between meals. 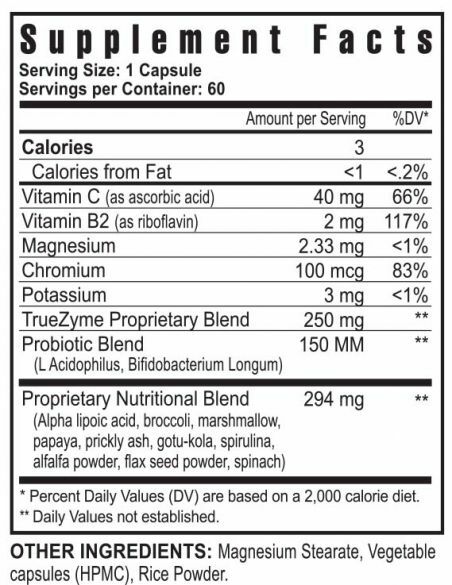 Vitamin C, Vitamin B2, Magnesium, Chromium, Potassium, TrueZyme Proprietary Blend, Probiotic Blend, (L Acidophilus, Bifidobacterium Longum), (Alpha lipoic acid, broccoli, marshmallow, papaya, prickly ash, gotu-kola, spirulina, alfalfa powder, flax seed powder, spinach), Magnesium Stearate, Vegetable caps (HPMC), Rice Powder.